You will not want to miss this weekend at Trinity Baptist Church!! Saturday the 6th begins with a men’s pancake breakfast @ 8:30 AM. 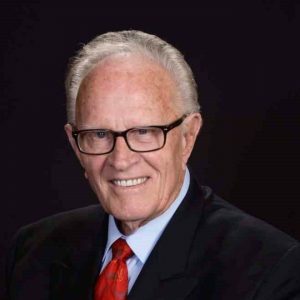 Dr. Jack Baskin will be speaking to the men during this session of our Mission Emphasis Conference. At 12:30 PM, the ladies will meet for a church sponsored lunch. 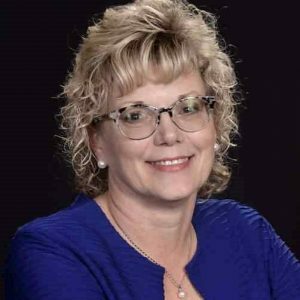 Ms. Shari Baskin will speak to the ladies during this distinct session. Then, Bro. Baskin will bring a timely message during a special service at 6:30 PM! In addition to the events on Saturday, please join us for a special Lord’s Day, and our 2019 Mission Emphasis Conference. 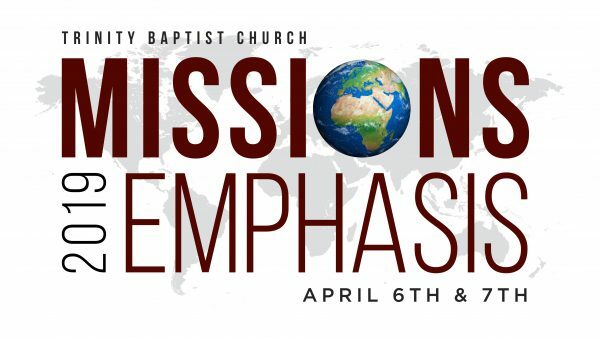 We will start at 9:30 AM with a combined Sunday School in which Dr. Jack Baskin and his wife, Ms. Shari Baskin will share their testimonies; followed with a special lesson surrounding the importance of missions and missionaries. At 10:30 AM, we will hold our main service and hear the message that God has placed on Bro. Baskin’s heart for this special time of worship and reverence to our Lord and Savior. We hope you will honor God and be a part of this great day as we hear the Changeless Word in a Changing world! God Bless You and Thank You for your Service!